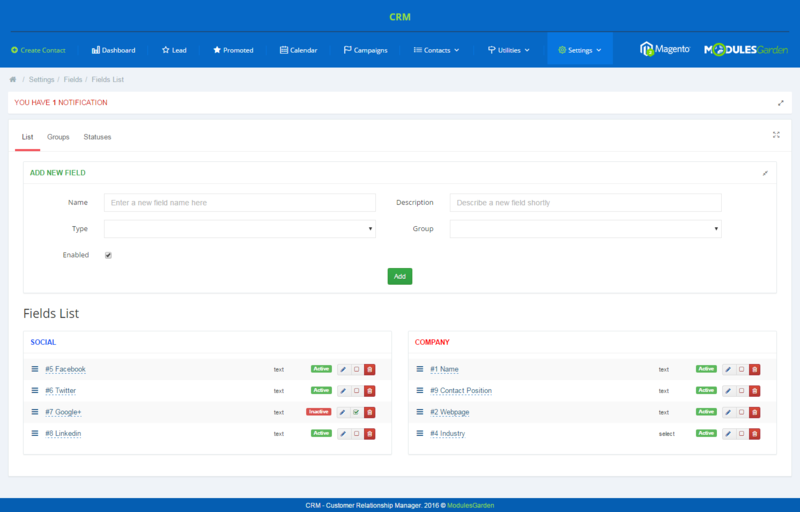 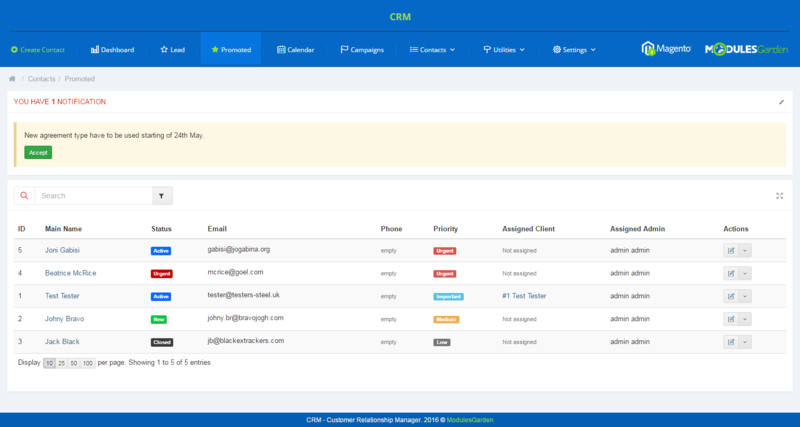 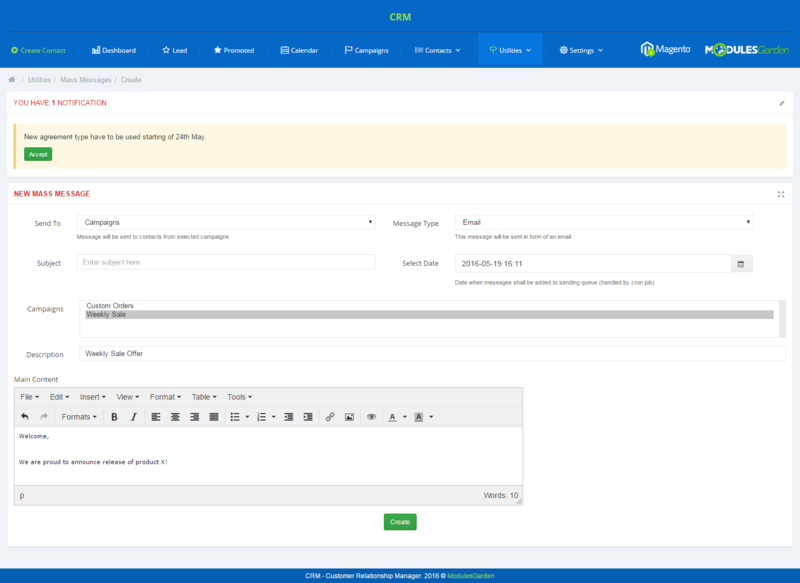 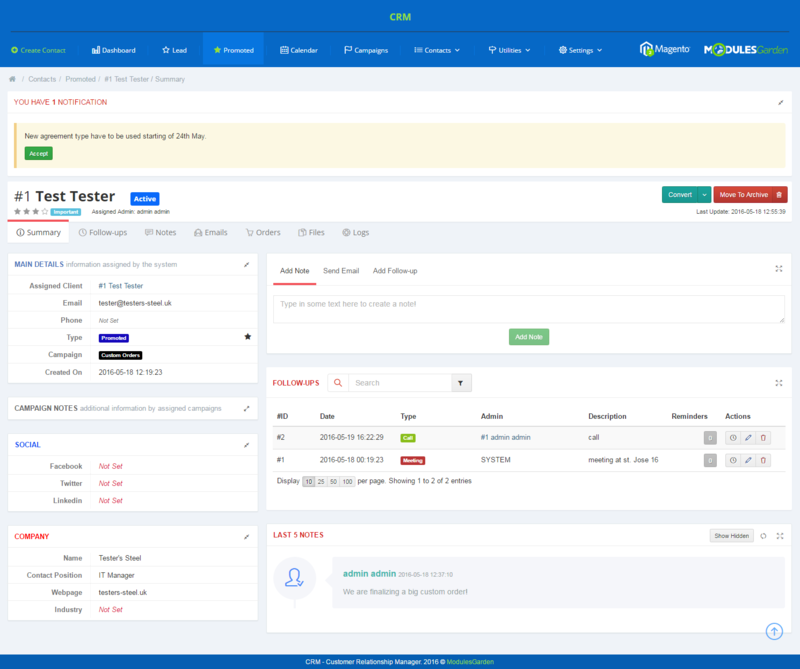 CRM For Magento 2 has been designed to introduce customer relationship management into your eCommerce platform and let you handle your contacts and follow-ups in an automated fashion. 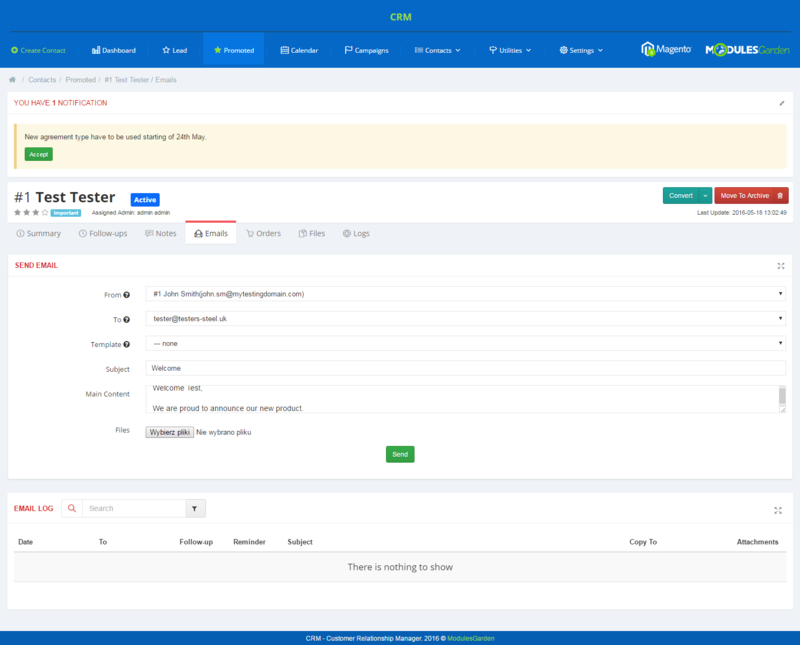 In a matter of seconds you will be able to add new leads and potentials, alter their statuses or even create accounts once you decide to convert them into clients. 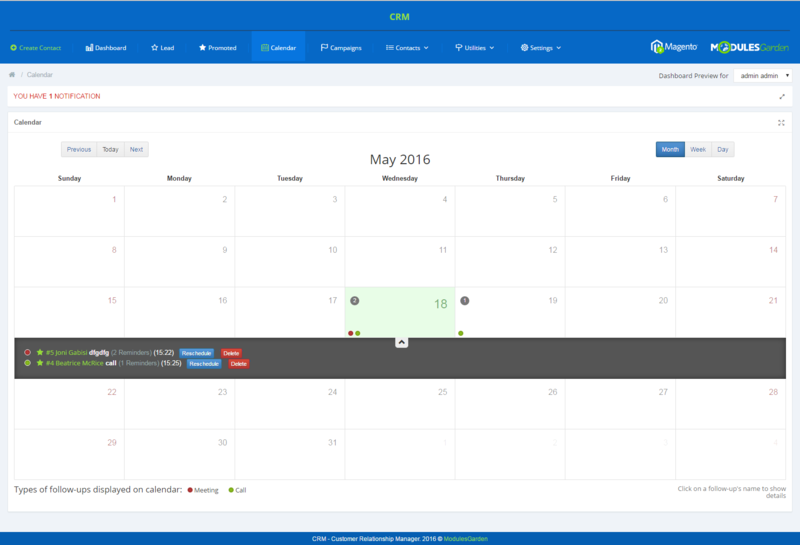 The extension runs the whole gamut of components to drum up your business agility. 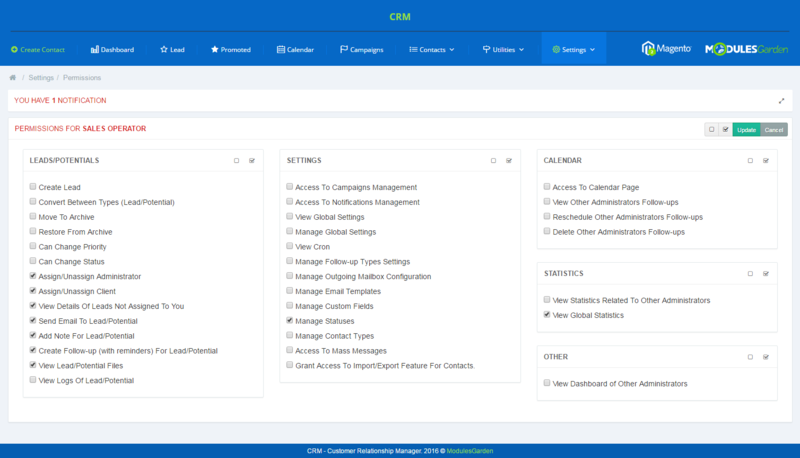 Automated notifications, campaigns, notes, files and mailboxes management - everything you would expect to fully utilize the value of prospective customers. 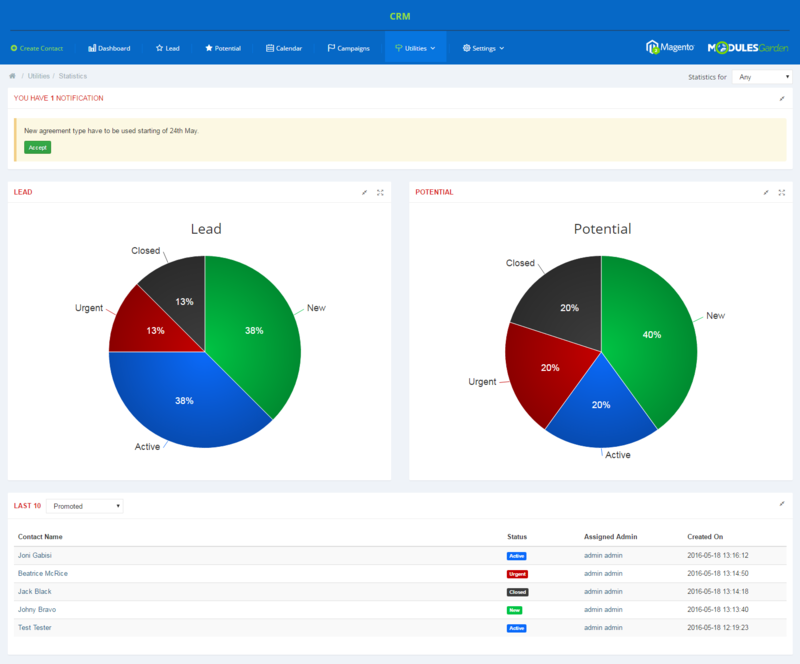 And in case you wish to obtain any extra information on leads and potentials, you will be allowed to add your own custom fields to their profiles! 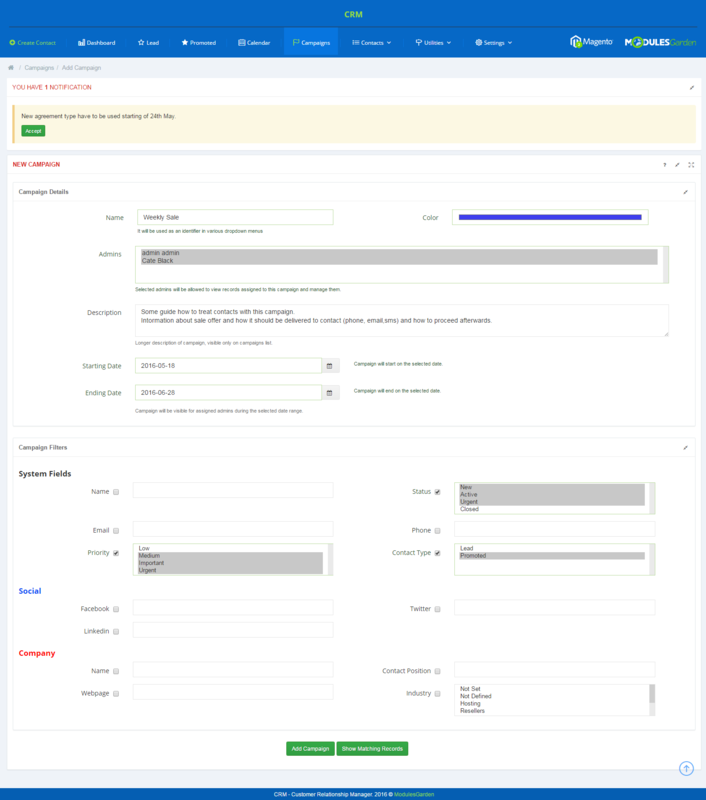 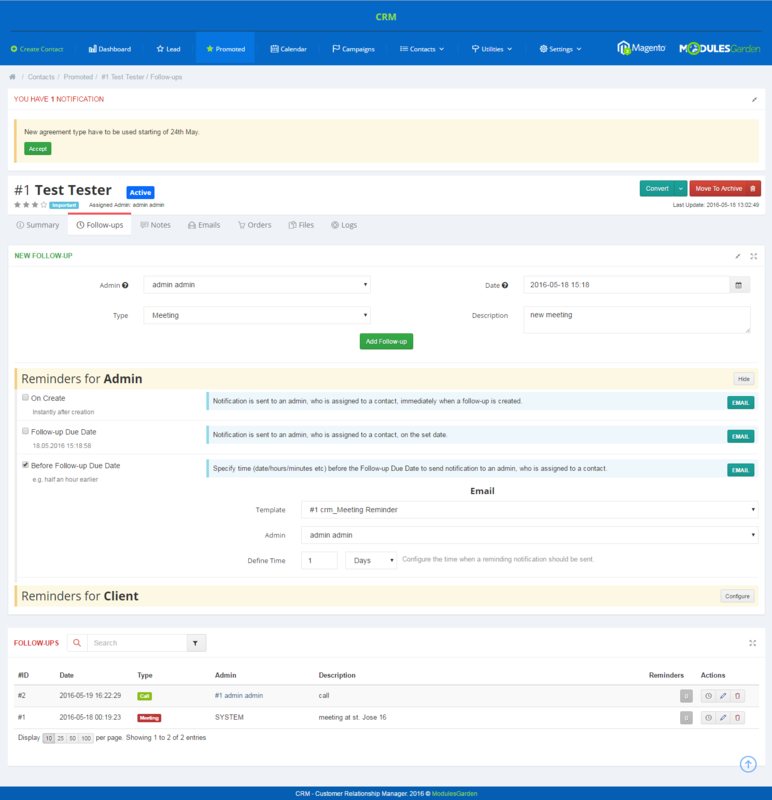 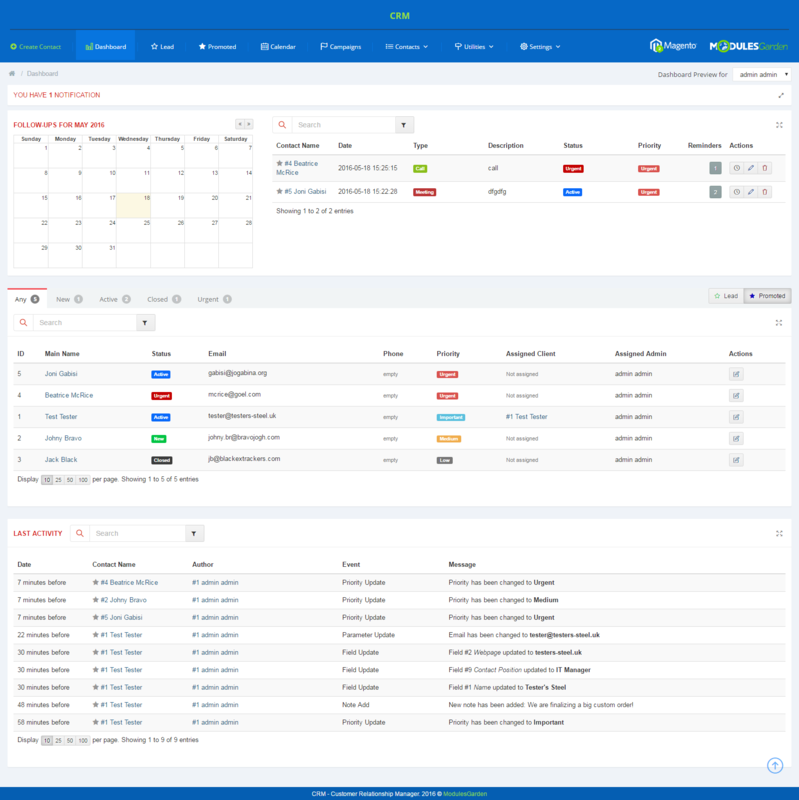 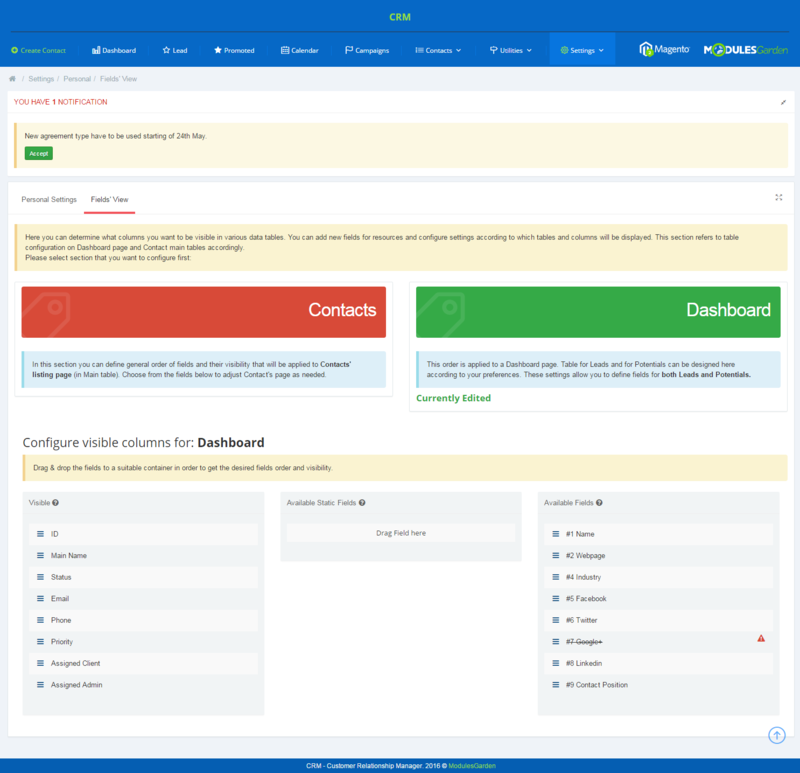 Whenever you need to do a quick overview or compare details of gathered contacts, an extensive presentation on the dashboard comprised of statistical graphs and a calendar-based schedule of follow-ups will come in highly useful. 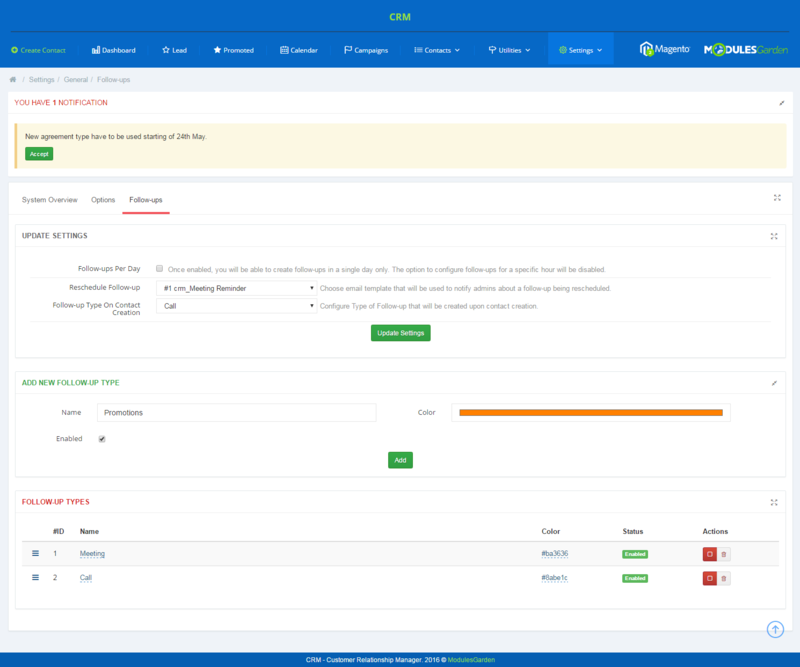 Moreover, all the precious data on leads and potentials can be imported/exported so you will be able to migrate them easily between Magento platforms or create a backup version. 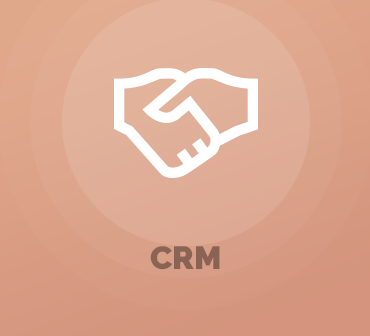 Keep up the brisk pace of your business with our CRM For Magento 2. 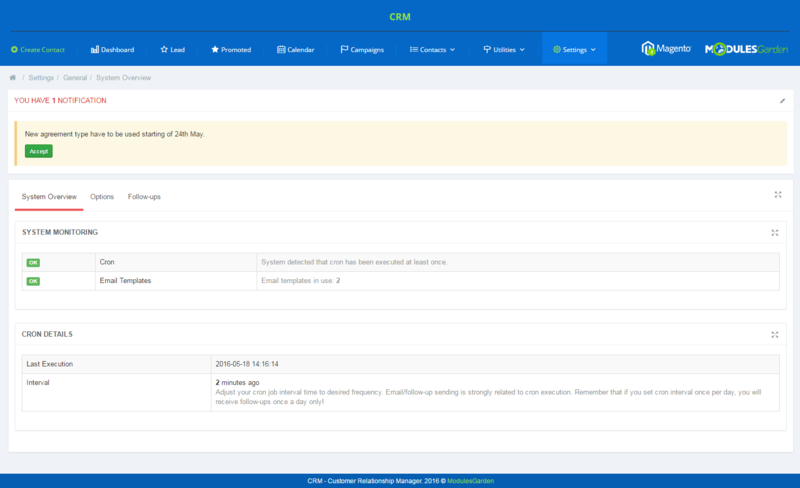 Order the extension now and set about a very new chapter of customer relationship management!